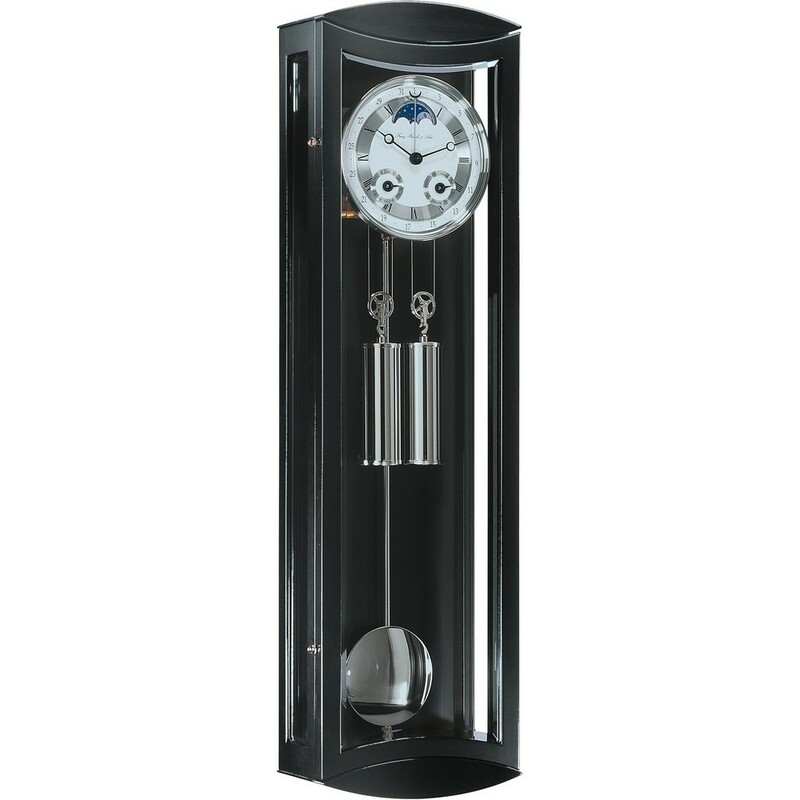 With its enchanting combination of black and silver, Hermle Mornington Mechanical Regulator Wall Clock (Black) will certainly add a touch of its own special magic to your room of choice while ensuring you get to tell the time in style. Its unique white and silver dial with black Roman numerals has been designed with a blue moon phase feature and two additional miniature dials. The clock has also features a nickel plated weight and pendulum as well as a glass paneled polished black case. Experience the elegance of a classic timepiece with the craftsmanship of a modern day case and movement. 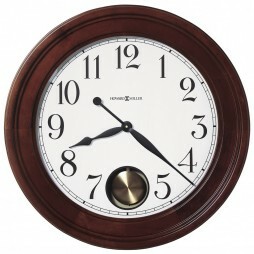 This cable-driven regulator wall clock represents a fine example of state-of-the-art wall clock design. 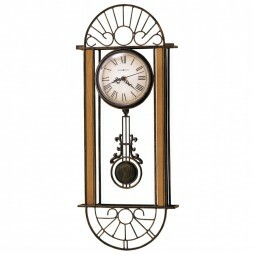 This is a unique and decorative wrought iron wall clock designed by Howard Miller. It's a unique wall clock with distinct features that truly makes this clock a work of art. 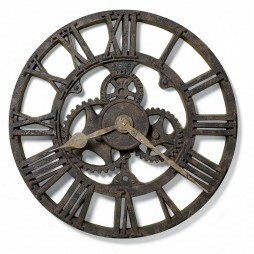 This wall clock as an antique bronze finished, with decorative oak finished hardwood on each side. Its dial has black numerals and hands with a convex crystal. 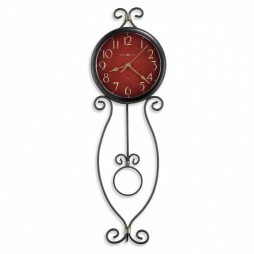 This is a beautifully designed wall clock that will make a perfect and elegant addition to your home or office.